I have chosen as my UP theme some photos from a 2009 trip to Hawai’i. 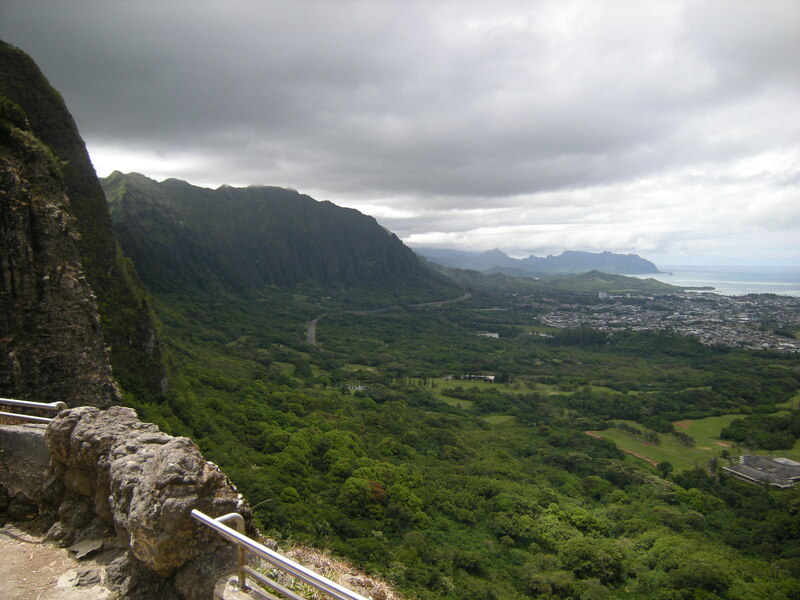 UP: This is a view from the top of the Pali Highway that connects Honolulu on one side of Oahu to Kailua, on the other. 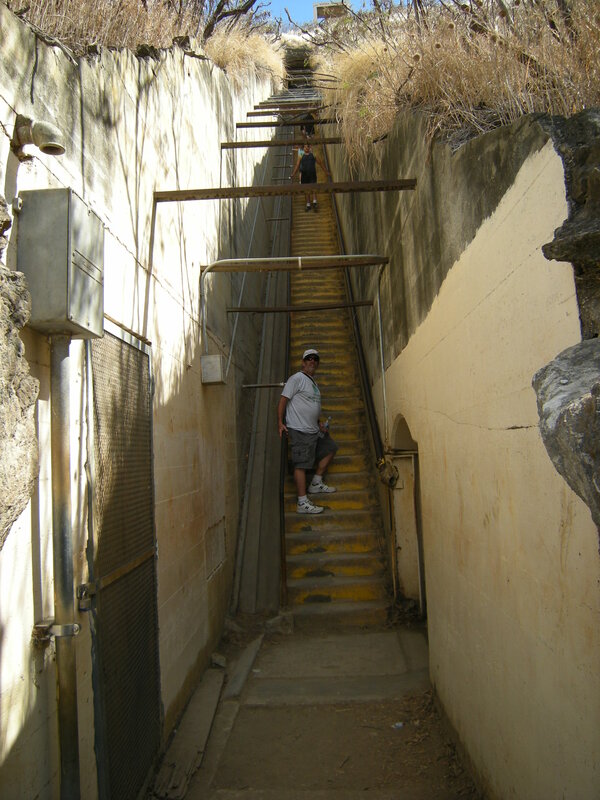 It is also the site of a historical battle fought between the forces of Kamehameha and Maui. With Kamehameha’s victory, he became the first king of Hawai’i. 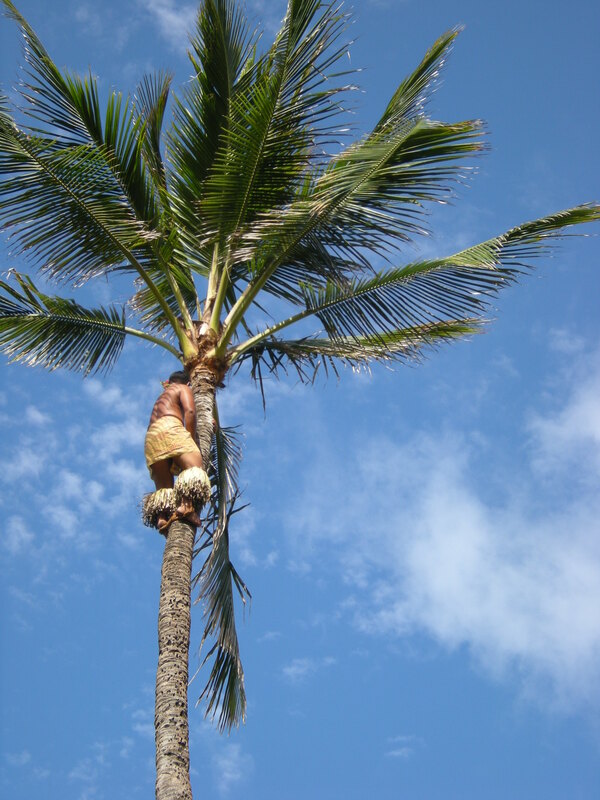 UP: At the Polynesian Cultural Center on Oahu, one of the performances includes this young man climbing up a coconut tree to gather coconuts. 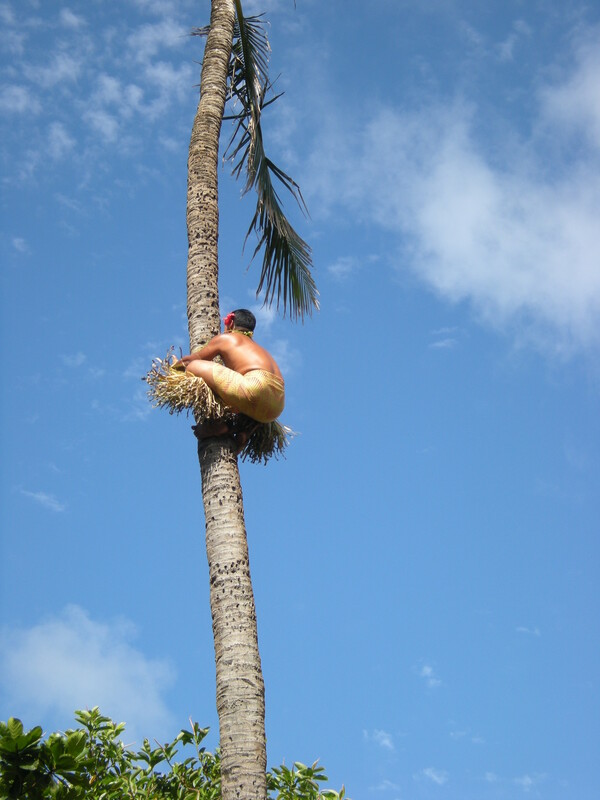 In the first picture, he’s climbing up and in the second he’s reached the top. 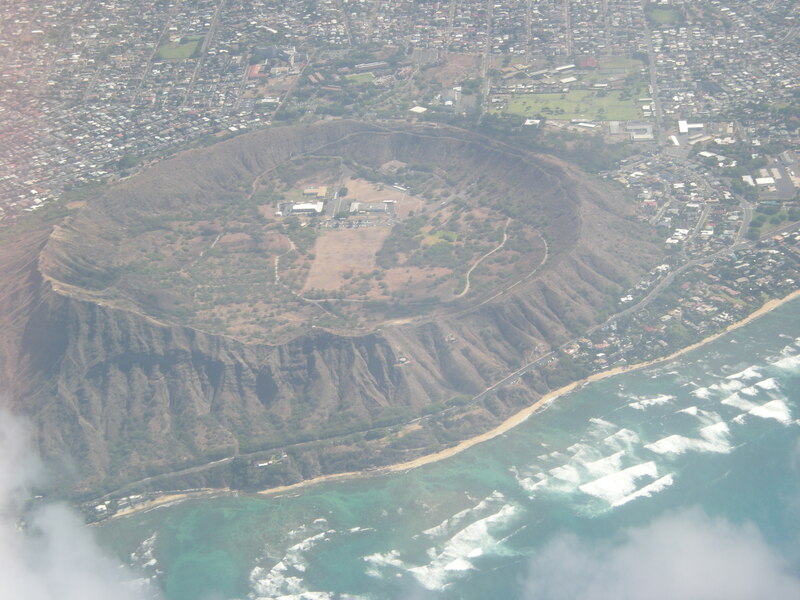 UP: On our flight from Oahu to Maui, we flew right over Diamond Head crater. This view from UP in the sky shows the inside of the crater flanked by metropolitan Honolulu on one side and the Pacific Ocean on the other. You can see part of the trail we took to the top. 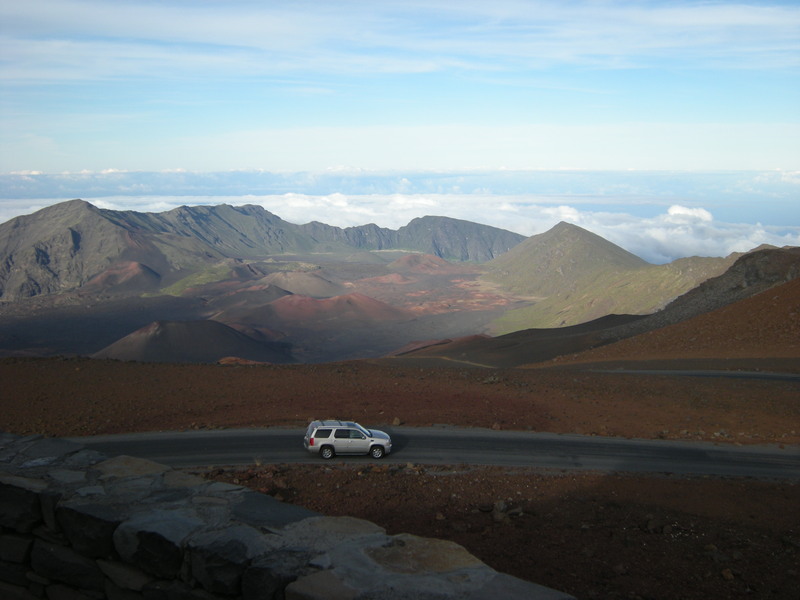 UP above Haleakala crater on the island of Maui. We drove up this volcanic mountain in the afternoon since we didn’t want to go up at sunrise, as tourists are encouraged to do! Instead, after daylight hours viewing the beauties of this national park, we were still up there at sunset, and I took some spectacular photos of the sunset! 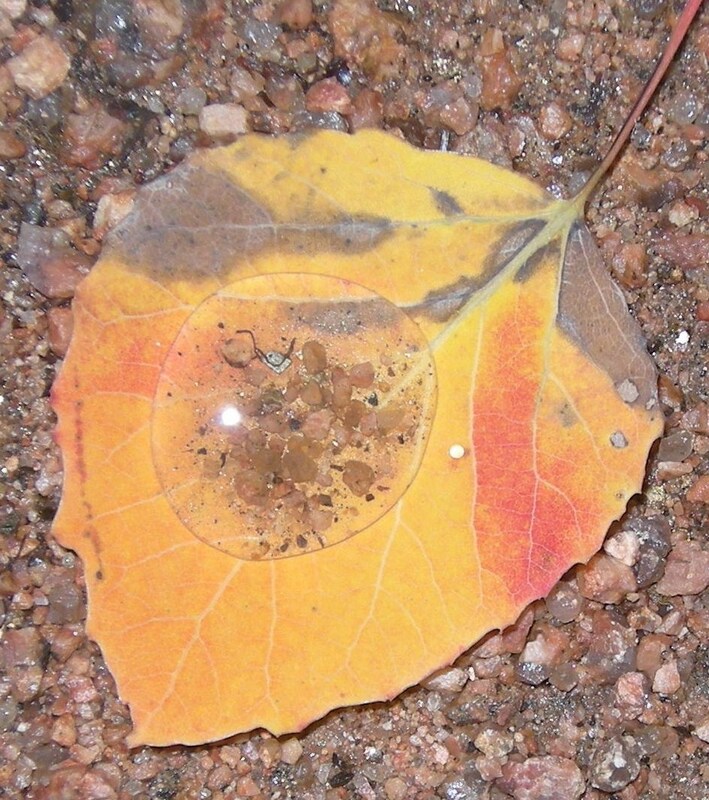 Your pictures bring back wonderful memories of when I visited Hawai’i.